Can one explain the power of global capitalism without attributing to capital a logic and coherence it does not have? Can one account for the powers of techno-science in terms that do not merely reproduce its own understanding of the world? 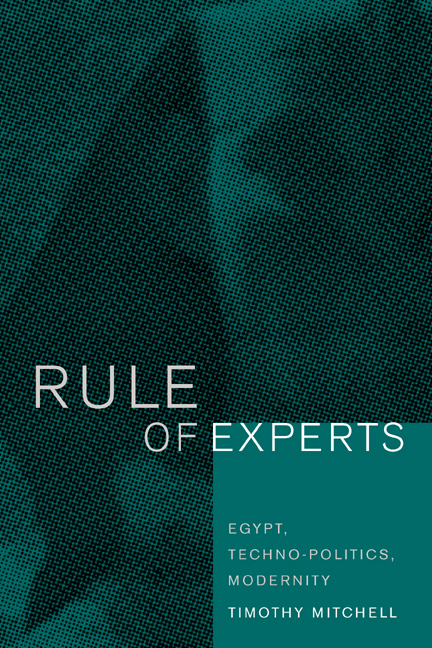 Rule of Experts examines these questions through a series of interrelated essays focused on Egypt in the twentieth century. These explore the way malaria, sugar cane, war, and nationalism interacted to produce the techno-politics of the modern Egyptian state; the forms of debt, discipline, and violence that founded the institution of private property; the methods of measurement, circulation, and exchange that produced the novel idea of a national "economy," yet made its accurate representation impossible; the stereotypes and plagiarisms that created the scholarly image of the Egyptian peasant; and the interaction of social logics, horticultural imperatives, powers of desire, and political forces that turned programs of economic reform in unanticipated directions. Mitchell is a widely known political theorist and one of the most innovative writers on the Middle East. 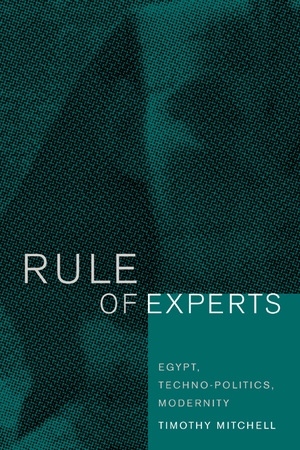 He provides a rich examination of the forms of reason, power, and expertise that characterize contemporary politics. Together, these intellectually provocative essays will challenge a broad spectrum of readers to think harder, more critically, and more politically about history, power, and theory. Timothy Mitchell, Professor, Department of Middle East and Asian Studies, Columbia University, is the author of Colonising Egypt (California, 1991, with a new preface), and editor of Questions of Modernity (2000). 1. Can the Mosquito Speak?